I drove through London last week. Mostly on the the A406. I only briefly saw an announcement about the congestion fee, when entering london on the M11. I didn't see any camera or any other signs on the road, that I actually entered the zone where I would need to pay a congestion fee. The question is, how do I see that I am entering a congestion fee area and is there a way to find out as a non resident (ie. no british license plates) if I have a bill running in the UK now? I had the problem this morning, so I called the number given above. No, they cannot tell you whether you have to pay the fee or not. That's what I was told on the phone. Unless you had to pay and didn't pay, in which case they will issue you with a huge fine. At that point it's too late. It seems that you can pay and then complain later to get a refund, which had an administrative fee of £10 some years ago when the fee itself was less than £10, so you won't get your money back. I couldn't find how you go about the complaining either. If you expect that you get into the same situation again, I think you can set up automatic payments where they take the money off you if you entered the zone. 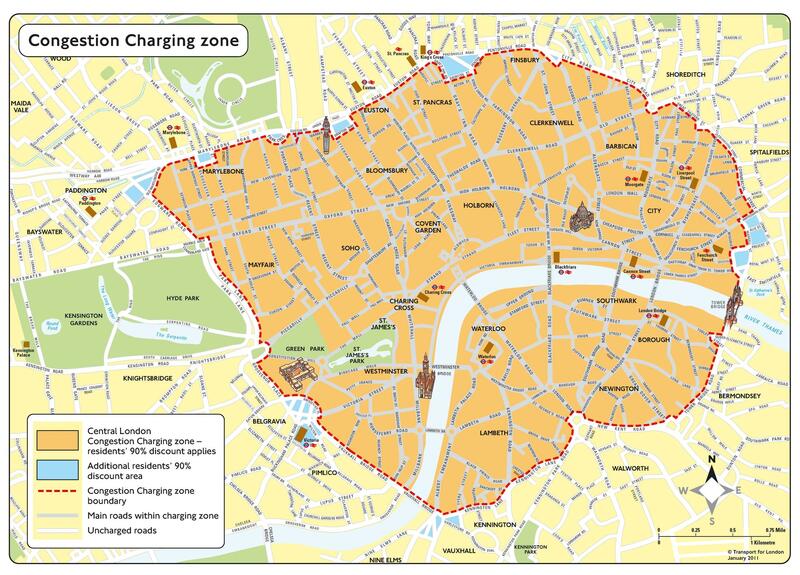 How do I know if I have got a congestion charge?